An Informative Breakfast with Teach Unlimited Foundation in Hong Kong! 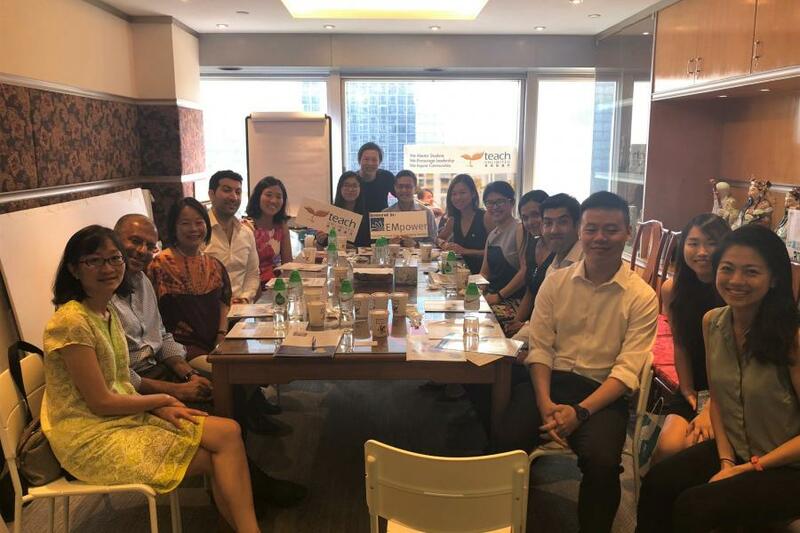 4 of EMpower’s Underwriters in Hong Kong and 8 EMpower supporters were thrilled to be joined by Hong Kong Grantee Partner Teach Unlimited Foundation (TUF) for an informative breakfast on June 29th. TUF is a Hong Kong based organisation established to support young people to realize their dreams by supporting the education and personal development of socially disadvantaged students, training high caliber and socially conscious university graduates as role models, and model an effective approach to mentorship and promote its integration into youth education in Hong Kong. The organisations Executive Director, Alice Chow, gave a detailed introduction into the training of Program Mentors, the metrics used to track students’ progress and behavioral changes, the toolkit used to identify at-risk students for individual mentoring, as well as how they prepare students and mentors for their departure at the end of their 2-year term. This breakfast was a fantastic opportunity for EMpower supporters to hear directly from those involved in the organisation’s program. The meeting also enabled new supporters to ask questions and find out more about their fantastic work with youth. We are most grateful to Teach Unlimited Foundation for taking the time to join us for this fantastic occasion and to all the Program Mentors for sharing their personal experiences.